Automate tasks with theDigitalworkers's Computer Vision which enables you to gain high-level understanding from single/sequence of images and digital videos. Computer vision helps you automatically extract, process, analyse and understand images by duplicating the abilities of human vision by electronically obtaining images, perceive and understand them. Image data obtained can be from multiple sources such as - video sequence, depth images and views from multiple cameras, are scanned and analysed for a specific purpose. Our Computer Vision application are extensively been adopted in numerous arenas like - Vehicle and number plate recognition, traffic analysis, character & face recognition, gesture analysis, security & surveillance and more. 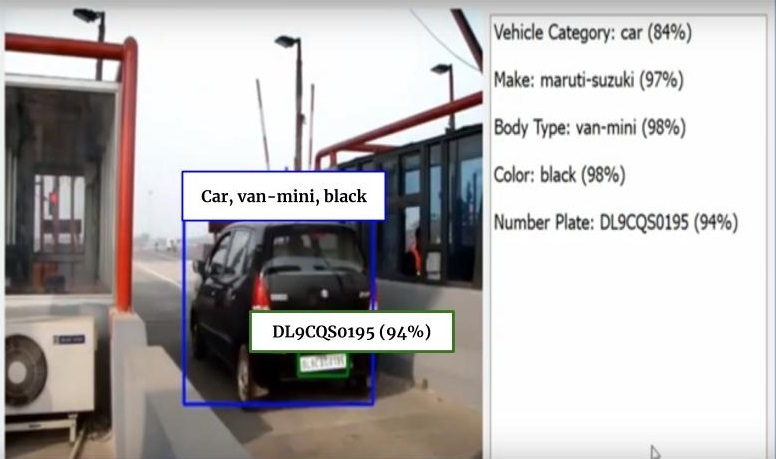 Based on Machine Learning, theDigitalworkers Computer Vision is customised to provide you with Toll Booth Vehicle Identification, Number Plate Identification and Analysis. To know more, read about theDigitalworkers's Computer Vision. What does Computer Vision read?